Will the LeBrondo expereince work out? Re: Will the LeBrondo expereince work out? Ball in the mix should be interesting too. I am guessing no, he will run out of gas as he is getting older every year from now on. No way they beat GS this year. He missed more dunks than I have ever seen him. Plus no young player has ever developed next to him. he is so ball dominant it will kill their player development. Your second point is particularly important. All the so-called experts rave about how good LBJ will be for the young guys, but I can’t think of any young guy he’s helped better his game more than expected. The last part is just silly. Plenty of young players have developed playing next to him, including the Celtics current PG, who became a lot better once James ended up in Cleveland. Yeah I agree. I don't think he'll hurt the Lakers Young players. I think they're going to play hard as heck trying to impress him. The Laker's young guys just got out of the prison of suckitude....and will be fired up about that. I think the most underrated aspect of the new Lakers team is Lebron himself. Until we see him look slow old and weak, he's not slow old and weak. Basically I just see a far superior supporting cast to Cleveland's. Kevin Love was it. Lebron's got much more now. It could go smoothly or it could go terribly. Rondo has a giant ego and butts heads nearly everywhere he goes. I just don’t think they have enough shooting, especially if you play Ball and Rondo together. If you play one of the other, eventually Rondo or Lavar will cause a problem. Of course Luke will be the first one to get blamed, and he’ll get canned. They will fight for the 6-7-8 seeds and probably get eliminated quickly if they do make it. All I know is that I feel sorry for the victim(s) that will face The Lakers in the playoffs next season. Playoff Rondo - even at his current age - is a sight to behold. Ask Isaiah Thomas and BOS during the 2016-17 playoffs. Mix THAT with Playoff LeBron? And the young and talented core they have right now? They aren't beating BOSTON anytime soon but they are set to do damage with their current team. 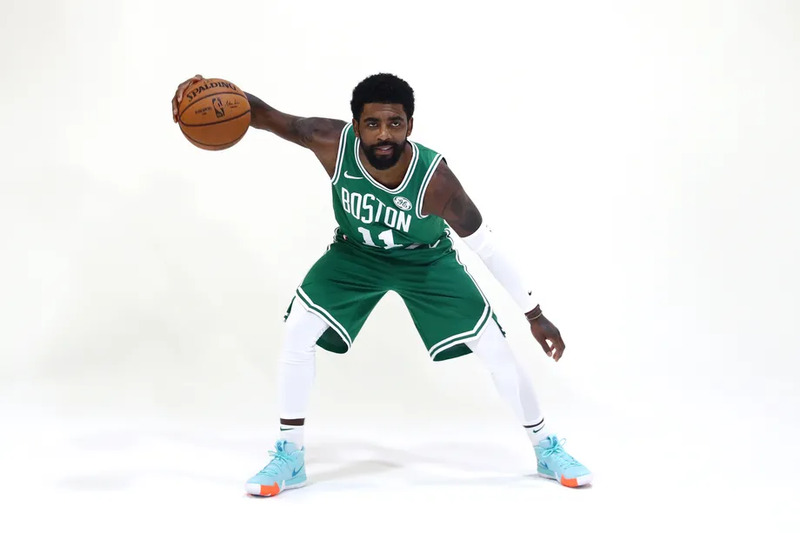 PLEASE, Kyrie - don't let LeBron, Rondo and the Lakers beat us. well to bitterjim's point it isn't like James has ever really played with any high picks, other than Irving and Thompson who both developed a ton while he was there. More recently Cedi Osman, looked awful good playing with James last year as a rookie. Mario Chalmers had a decade long career because he was blessed to play and grow under James. Anderson Varejao, Sasha Pavlovic, Boobie Gibson, etc. all seemed to develop fine playing in James' shadow (though James was fairly young himself with all those guys). JJ Hickson came along later in James' first stint in Cleveland and did just fine in the growth department. Miami had like 1, first round pick when he was there, that was Norris Cole at 28, who managed to get a 2nd contract pretty much only because he played with James. But you see that is the thing, late 1st round picks or 2nd round picks (which all those guys are) is all you are going to end up with when you have Lebron James. In addition, teams with Lebron James tend to trade draft picks and young players for win now players to maximize the Lebron James window. That is what happens when you have contenders.